Two historic ships with links to Southampton’s maritime history are calling for help from the public to chart their history and ensure their survival. 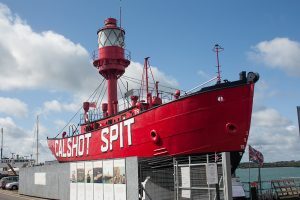 Despite being an integral part of Southampton’s historic links to the sea, the century-old Calshot Spit Light Vessel 78 and the ocean liner tender Calshot, based near Trafalgar Dock in the Port of Southampton are not normally open to visitors. 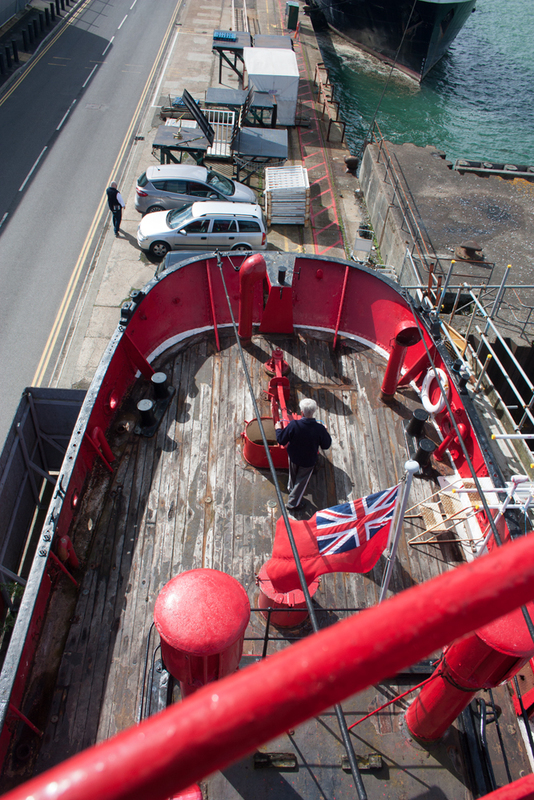 The city’s Heritage Open Weekends (the most recent held on 9-10 September) are a rare opportunity for people to get up close to the vessels and see first-hand how they helped make Southampton one of the great maritime cities of the world. Light Vessel 78 was built in 1914 at Woolston, and spent half a century afloat helping shipping navigate safely in and out of Southampton. 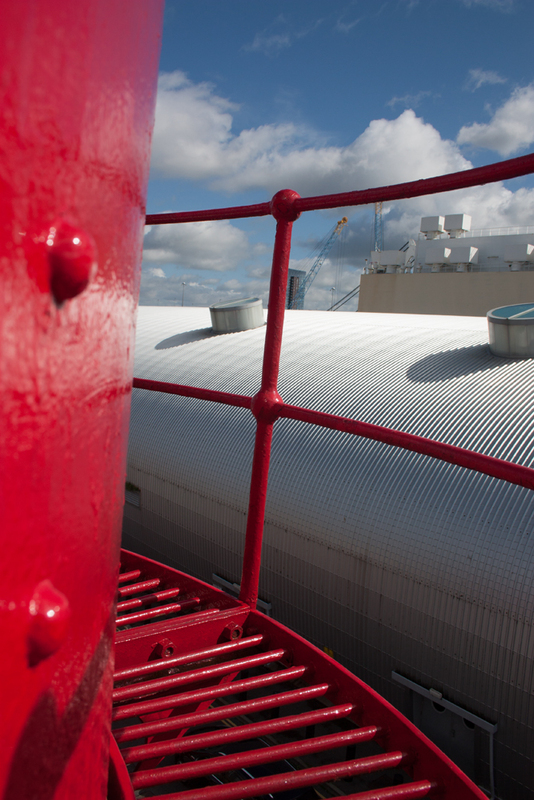 Visitors to the light ship should be able to see how the crew of six lived and worked in cramped and basic conditions for up to six months at a time, keeping the light and foghorn functioning. 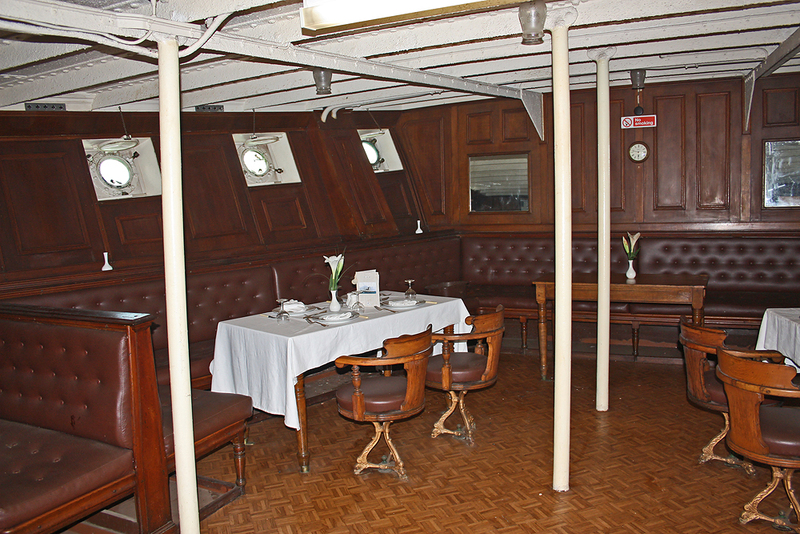 The light is not in place but its position and mounting can be seen by those able to manage a twenty foot ladder, and crew cabins, tiny galley and workshops for those who prefer to stay closer to the deck. LV 78 was retired in 1965 and replaced with an unmanned buoy, but now remains as a highly visible tribute to the men who endured all weathers to guide mariners safely. Leading the volunteers working on maintaining LV 78 is Richard Hellyer (pictured below on deck), a veteran mariner himself. 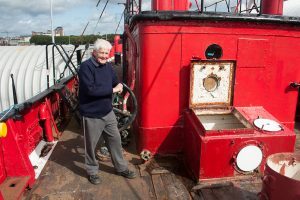 He said: “We’re looking for any former crew from the light vessel who can tell us any stories, or who perhaps still have photo albums, to help us find out as much as possible about her history. 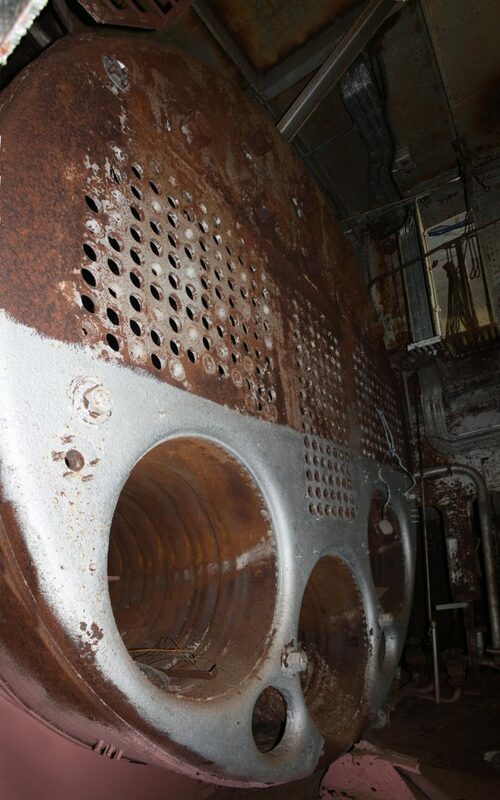 We’re also looking for anyone who can volunteer their time to help maintain her. She’s the first thing people on the cruise ships see when they come into Southampton terminal and is such a wonderful advert for Southampton’s maritime heritage, so we want to keep her in good condition.” Anyone who has any information about LV 78 or would like to help with her upkeep can contact Richard via pathfinder@safemariner.co.uk . 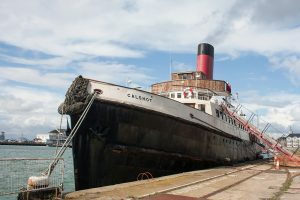 Also present by Trafalgar Dock is the historic passenger tender Calshot, which represents a tangible link with the golden age of ocean travel from the 1930s. Although the historic vessel is not currently open to the public, the Tug Tender Calshot Trust are able to show some visitors round under supervision. 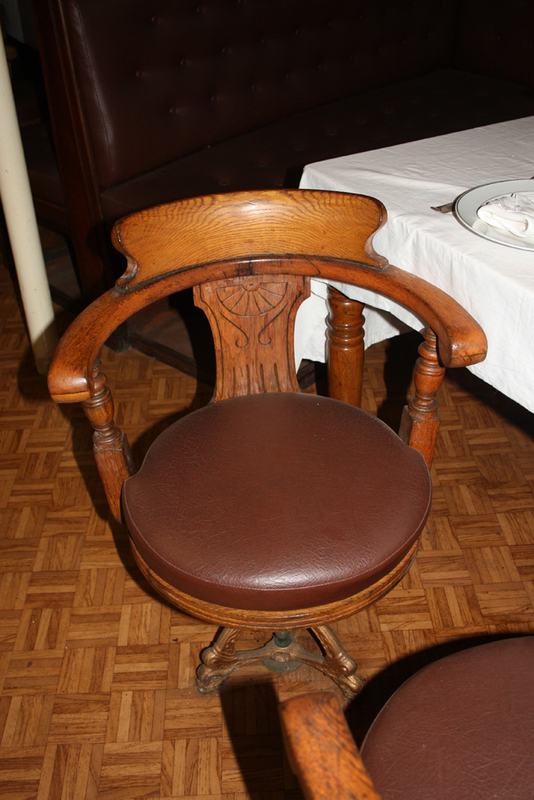 The Calshot is still in remarkably original condition, with many of her original fixtures and fittings from the days she ferried passengers with the Red Funnel line from Southampton out to the great ocean liners anchored off Cowes. Like the Nomadic currently preserved in Belfast, Calshot is some respects an ocean liner in miniature, with a grand staircase leading to well-appointed, wood-panelled First Class lounges, and even a vast boiler of the same size and shape as those seen in the Titanic. 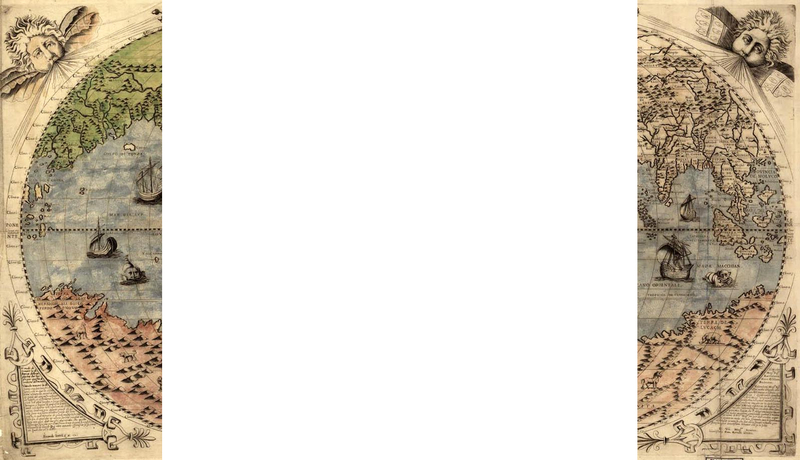 Many of those leaving Southampton to sail all over the world began their voyages on the Calshot. The vessel also had an important Second World War role, ferrying troops to the Queen Mary and Queen Elizabeth from the Clyde and acting as a command vessel for the D-Day landings.